Apple has unveiled its new line of Macbook just a few month but they were found lacking in terms of upgrades over their predecessors. Apple is plagued with lack of innovation and motivation towards bringing cutting edge technology and enhanced experience which were highlight for its devices for quite some time. A number of tech enthusiasts were left distraught with the launch of the Mcabook Pros which weren’t as ‘pro’ as they used to be in the past. 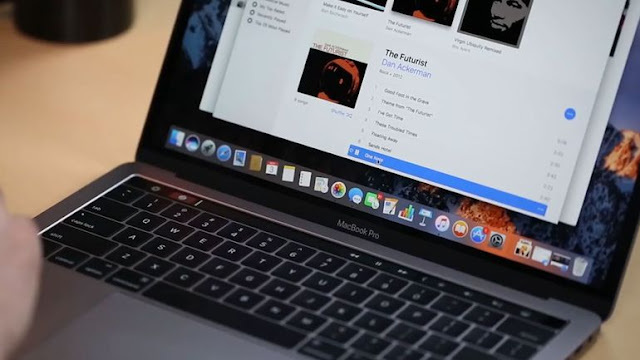 One of the trusted the analyst from KGI Securities and Apple Nostradamus named Ming Chi Kuo has suggested last year that Apple will be bringing the touchscreen against the function for its Macbook line. Here are his predictions for this year of Apple’s Macbook lineup. Apple is set to bring Intel’s new Kaby Lake processors for its upcoming line of 13 and 15 inch MacBook Pro versions. These laptops are expected to launch in the third quarter of 2017 and before it Apple will try to ignite some frenzy among its users by enhancing the RAM power on its 12 inch Macbook range which currently possess 8 GB but it will start featuring the robust 16 GB RAM for more efficient user experience. Apple is suffering from lack of innovation which was evident from the launch of the iPhone 7 in November. Apple did away with the 3.5 mm jack on its new iPhone in bid to make device sleeker and trendier than ever before but this move simply backfired with lower sales. Similarly the subsequent launch of the updated Macbook line in later months met with criticism both by the consumers and critics. Apple aim towards moving to new processors and to enhance RAM on Macbook is an effort towards improving the battery life of its computing devices. Apple might even go for a 32GB RAM based Macbook as per Kuo in 2017 which will be designed to woo core art professionals who requires more processing power for photo, video and audio editing. Apple Macbook range is highly sought out item among the users for its incredible specification, amazing design and portability factor. It is widely popular among the creative professionals who are willing to shell out extra dollars in order to get high performing device. Macbook poor battery life was becoming a concern for heavy duty users and Apple is expected to take significant steps towards improving upon it by using new processors and enhanced RAM. It is getting stiff competition from rivals who are churning out value for money and affordable computing devices in quick succession. Kuo is a reliable Apple products predictor and over the years he had quite a number of correct prediction regarding launches, features, specifications and much more. In 2016 he correctly predicted the redesign of the Apple Macbook Pro, the launch of Apple Watch 2 along with GPS functionality as well as the release of the smaller version of iPhone in 2016.